Let's face it, rubber boot season is nearly a year round thing here in Seattle. So why not have a pair that lift your spirits when you wear them? 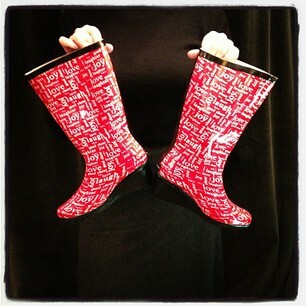 These mid calf, wedge heel rubber boots will help you look sharp while you stay dry. Sizes 6-11, and they are going fast.